This venue has had a few very good races in the past, one of them being the 2003 race. Has it ever been that the podium ceremony has missed one of the podium finishers? Like how we had Alonso missing from the 3rd spot). 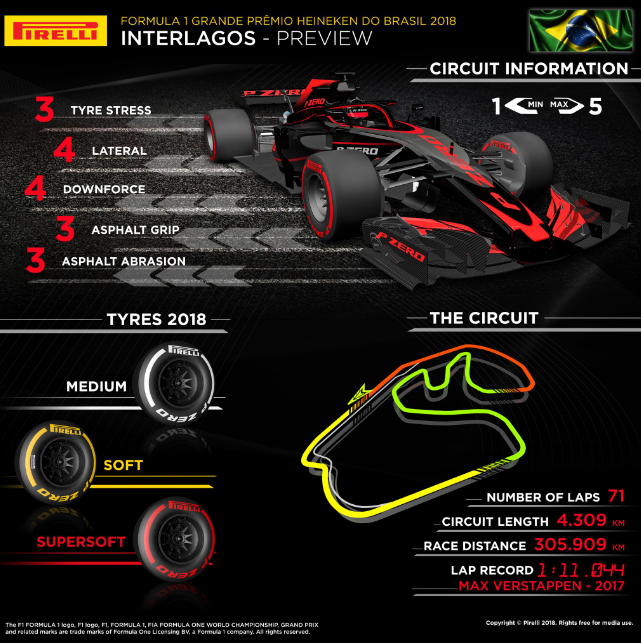 - At 2.677 miles (4.309 km), Interlagos is the third-shortest lap of the year (after Monaco and Mexico City), which means that tyres are kept busy with an almost non-stop sequence of corners and plenty of traffic. - The right-rear tyre is the most stressed on the anti-clockwise layout, with tyres subjected to fast corners and combined forces: these high energy loads are the reason for a relatively hard tyre nomination. - Last year's winning strategy was a supersoft-soft one-stopper, but a two-stopper was also seen. Nonetheless, a one-stopper is what most teams will probably aim for this year. 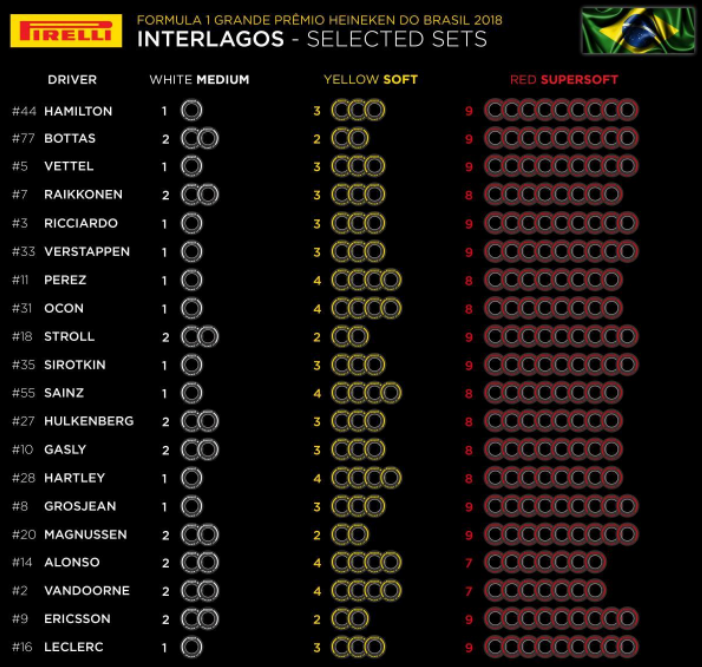 - Interlagos sits in the upper bracket for ICE difficulty. The circuit may be short, but the long, uphill start/finish straight takes up a considerable percentage of the lap. The driver will be at full pedal travel for around 15s, around 25% distance, or 20% of the overall lap time. 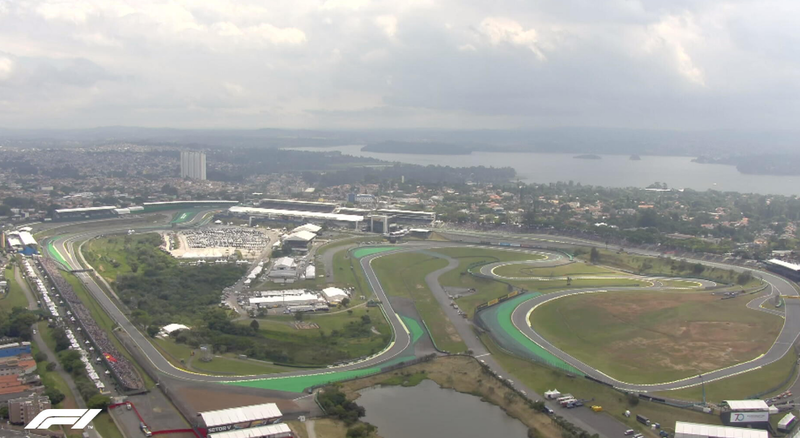 - 800m above sea level, until the Mexican GP, Interlagos was the highest race of the year by a long way, but now seems low by comparison to the giddy heights of Mexico City. Nonetheless, the turbo will be spinning at a higher speed to generate the same power as a sea level event, rotating at close to its maximum. - Due to the long periods of full throttle, the MGU-H has ample opportunity to recover lost exhaust energy. However, energy recovery is not necessarily critical as fuel consumption is relatively low due to the high altitude and lower air density. - The most successful driver at Interlagos is Michael Schumacher with four wins at the Sao Paulo track. 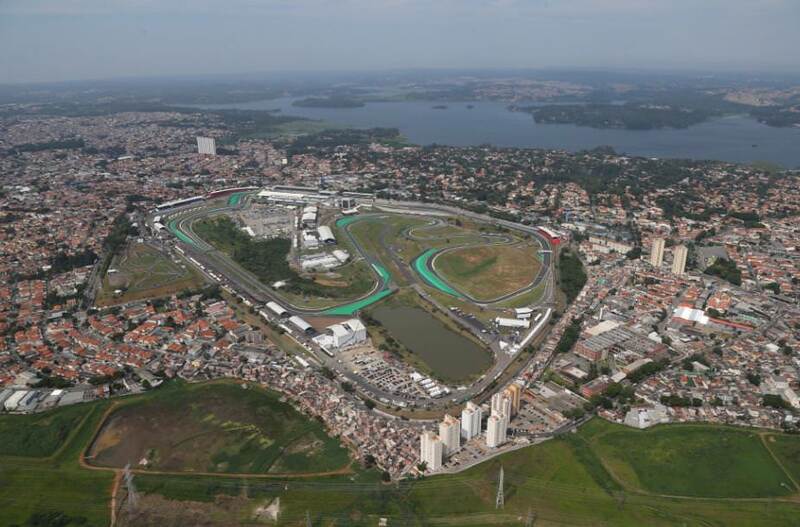 - Three current drivers have won at Interlagos. Sebastian Vettel won here in 2010 and 2013 with Red Bull and again last year with Ferrari. Kimi Raikkonen won in 2007 with Ferrari and Lewis Hamilton won in 2016 with Mercedes. 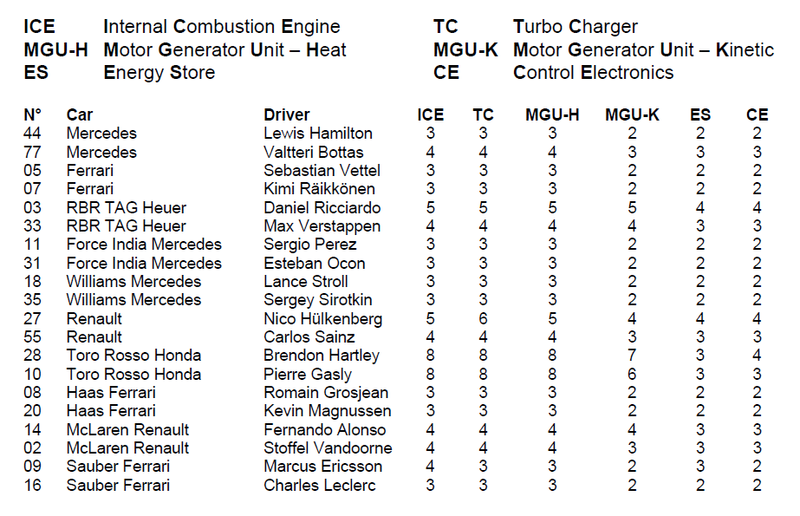 Ricciardo will be probably getting a new turbocharger for this race which means atleast a 5 place grid penalty for him! Top three drivers for the top three teams with less than one tenth between them - or in other words, game on. The times are very close so far. Noticeably both Hamilton and Vettel are half a second quicker than their teammates so far (Max about 4 tenths up on Dan). Yeah. Still FP1 though, I'm waiting for FP3 to get a clear picture. This Canard wants to know what you guys have against ducks???? Last edited by Mort Canard on Fri Nov 09, 2018 4:47 pm, edited 2 times in total. :? 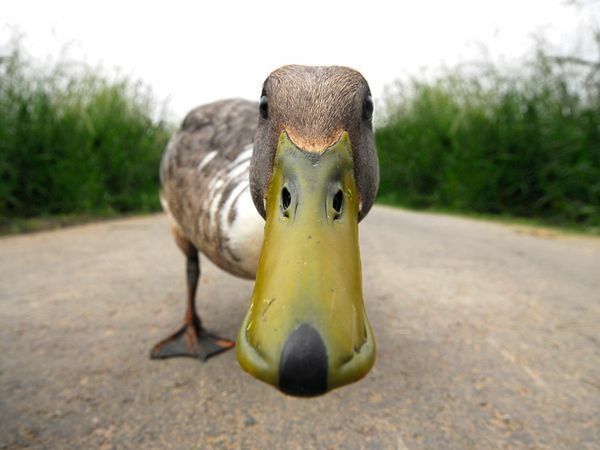 This Canard wants to know what you guys have against ducks???? Haha, nothing at all. It's an expression that got misused in the other thread, so I was jesting mate. I have to admit to total confusion about the whole "Lewis breaking the duck" thing. I know of know unbroken duck in play here. He has obviously won races this season and he has won in Brazil as well. Maybe I have just missed the whole inside joke with this. Haven't been in the forum much this week. I just hope Lewis can break his duck at brazil and finish first while securing merc the WCC. Which confused the hell out of everyone, as Lewis has indeed finished first this year! Then escalated from that. But I don't want to derails this thread, I was just jesting with that. Some of the teams (notably Merc & Ferrari at the top) really split the tyre strategies in practice – has this become quite a regular thing. Sure that some on here have been paying more attention to this. Whereas Red Bull seem to have put all their eggs in one basket with the soft, although they did roll out the mediums in P1. 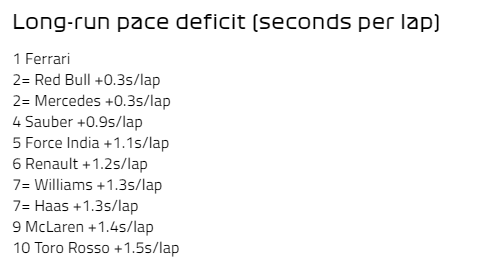 Red Bull also seem to use less sets across the two sessions. 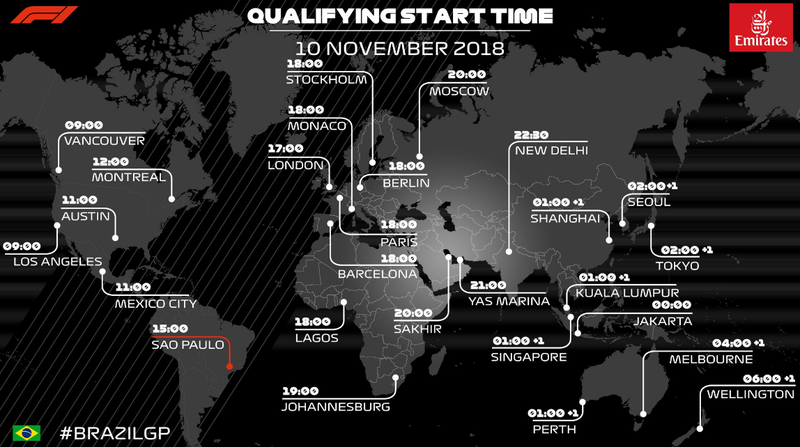 Is it that the other two are happier to test things out at this point, whereas Red Bull will try and save sets in the chance it gives them an edge come Sunday – higher risk to try and improve the chance of a race win over consistency? He's never won a race in the same season after securing the WDC title. Ocon will be getting a 5 place grid penalty for a gearbox change. Well as I often say in my defence. It's not the size of the organ that matters but the auditorium it plays in. His sense of humour is still alive and kicking. It was not the best day for Sebastian Vettel on Friday, but the German gave us some radio gold on his troubles. The Ferrari man seemed to have something in and around his feet and near the pedal box of his car, an issue that continued throughout FP2. He said: “There’s something loose between my legs… Apart from the obvious. A bit of fun from the German on what turned out to be a tricky day. He was the man that struggled the most with tyre wear out of the top six drivers. oh come on, is this whole session going to be showing the back of the Mercedes mechanics A driver has issues, same as many sessions. Just beacause he is the world champion should mean we should stop seeing the garage. Red Bulls about .3s down on Vettel in the third sector.. a one-corner sector. I don't think the stewards will be impressed with his getting out of the way for Kimi either. Since the change of climatic conditions board has gone up. Does that mean free tyre choice for the race for all? Amazing lap from Leclerc there. That guy is ridiculous, can't wait for next year.